Nationality by marriage - Is physically living in Belize for one year no longer required? Nationality by marriage – Is physically living in Belize for one year no longer required? Posted: Wednesday, September 7, 2016. 3:12 am CST. By BBN Staff: Can a person qualify for nationality after being married to a Belizean for one year without having lived in Belize? According to former Minister of Immigration, Hon. Godwin Hulse, the answer to this question is yes, as long as the person is “older than 18 and intends to be in the country” (of Belize, whether now or sometime in the future – BBN’s words). Personal testimony given to Breaking Belize News, however, does not confirm Hulse’s assertions above to be normal practice at the Immigration Department. Three different persons who are married to Belizeans have told BBN that they were told, and/or were required, to live in Belize for one complete year before they could submit their application for nationality by marriage, despite the length of time they had already been married. In one case, the person was unable to complete this requirement as they had to return for studies abroad, and was only able to meet the one year residency requirement after 5 years of being married. The others had similar stories but also confirmed that Immigration Officers told them “they were only able to leave the country for a maximum of 14 days or else they would break the 1 year residency requirement”. 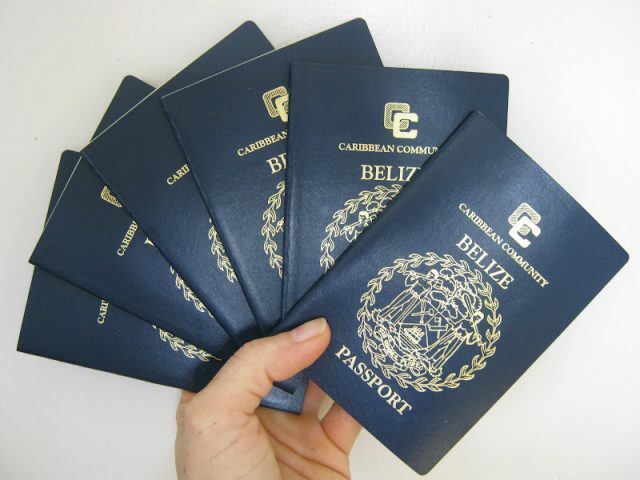 A Belizean who is currently married to a Canadian told BBN that they visited the Immigration Department in Belmopan in February this year and were told that their spouse does not qualify for nationality as the 1 year residency requirement in Belize has not been met. This couple have been married since March 2014, but according to Hulse, ‘for purposes of residency required as specified in section 3B, if any applicant marries a Belizean citizen such applicant shall be deemed to have been legally resident in Belize from the date of such marriage. On Friday, 2nd September, 2016, Breaking Belize News wrote a story on Minister Hulse’s attempt to clear the name of PM Barrow and his wife, who were fingered in the Auditor General’s report for recommending William Dahlstrom, the Swedish brother-in-law of Kim Simplis Barrow, for nationality even though he had not resided in Belize for a full year. The story, which can be viewed at http://www.breakingbelizenews.com/2016/09/02/hulse-clear-pms-immigration-audit/, also received mixed feedback with one reader saying “Immigration told my Canadian friend who is married to a Belizean that she had to be in Belize a whole year continuously before she could apply. They always came for the winter but would go back so she always had to get a new visa”. In the interest of transparency and greater clarity, it would be wise for the Government of Belize, or particularly the Immigration Department, to issue clear instructions to its officers on how the requirement for residency is to be handled in cases of applications for nationality by marriage. How about someone who was born in Belize but left the country as a baby, would That person still be concidered a national? Or does that depen on how the authorities feel, like if one greased someone palm or if they are feeling superior at the time the application hit their desk?